We arrived in Croker in plenty of time as our Tour Guide took us on an inspiring journey around our national stadium. Some of the highlights include taking a seat in the VIP area, getting a birds-eye view from the media centre, going up to the highest seats, sneaking a peek inside the dressing rooms, and of course, walking in the footsteps of Gaelic games legends as they went pitchside through the players’ tunnel, listening to the crowd roar! 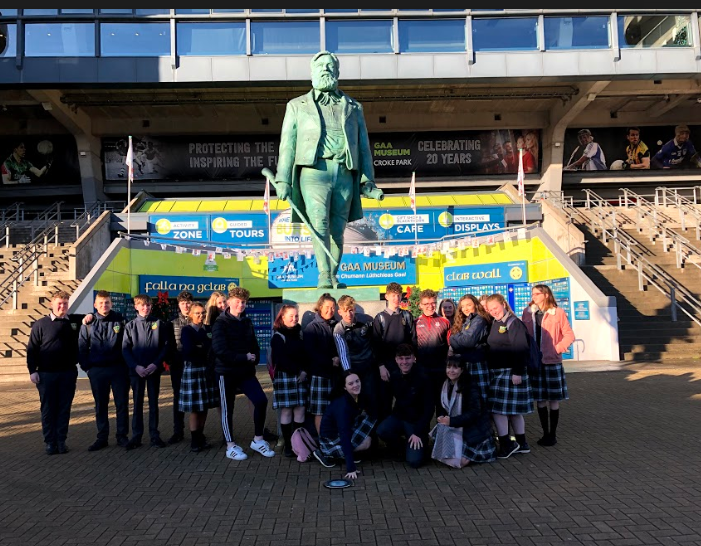 A trip to Croke Park simply wouldn’t be complete without the TYs experiencing the GAA Museum. The guide immersed them in the spine-tingling and completely unique story of Gaelic games from ancient times to the present day. This museum is like no other sporting museum they had ever visited. It not only celebrates the history of Ireland’s national games, it also vividly brings to life how the GAA has contributed to our cultural, social and sporting heritage. 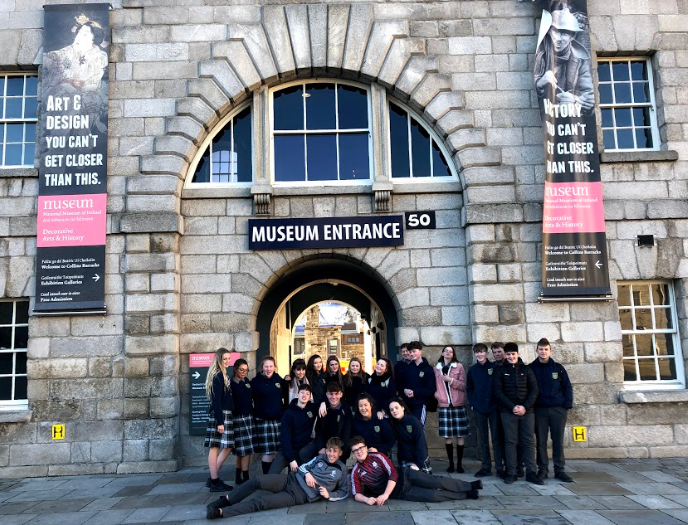 Featured exhibitions the TYs experienced included the original Sam Maguire and Liam MacCarthy Cups, the Hall of Fame, and a whole floor dedicated to the games as they are today. When they were done exploring, the TYs got a taste of the action in the popular Interactive Games Zone, where they tested their hurling and Gaelic football skills! Following this, the TYs trooped off to Collins Barracks, to view the World War 1 and Asgard exhbitions.